Northern Strands is committed to providing customers with the highest quality products in the wire rope and rigging industry. Vitali International offers easy to use chain and lever hoists while maintaining the highest quality, continual innovation & testing, and affordable prices. The opening of a new factory in Haining Suburb near Hangzhou in 2017 has allowed Vitali International to continue to offer quality products worldwide. Committed to ongoing improvement, quality insurance, and technological expertise, Vitali International has been awarded China's National Brand Award from CCTV in the lifting equipment industry. Additionally, Vitali is devoted to improved heat treatment processes. Compared to other factories with heat treatment processes of around 50 to 60 degrees Celsius, Vitali International has reduced their heat treatment processes from 880 to 45 degrees Celsius. Northern Strands is proud to offer customers Vitali International chain and lever hoists at an affordable price with ensured quality. For more information on the Vitali International chain and lever hoists that Northern Strands offers, click here. Northern Strands Suspended Access Division has designed a unique Portable Electric Winch System for material handling. Why did we design a Portable Electric Winch System? To offer an alternative to Air Winches. Our Portable Electric Winch System was designed with portability and ease of use in mind. 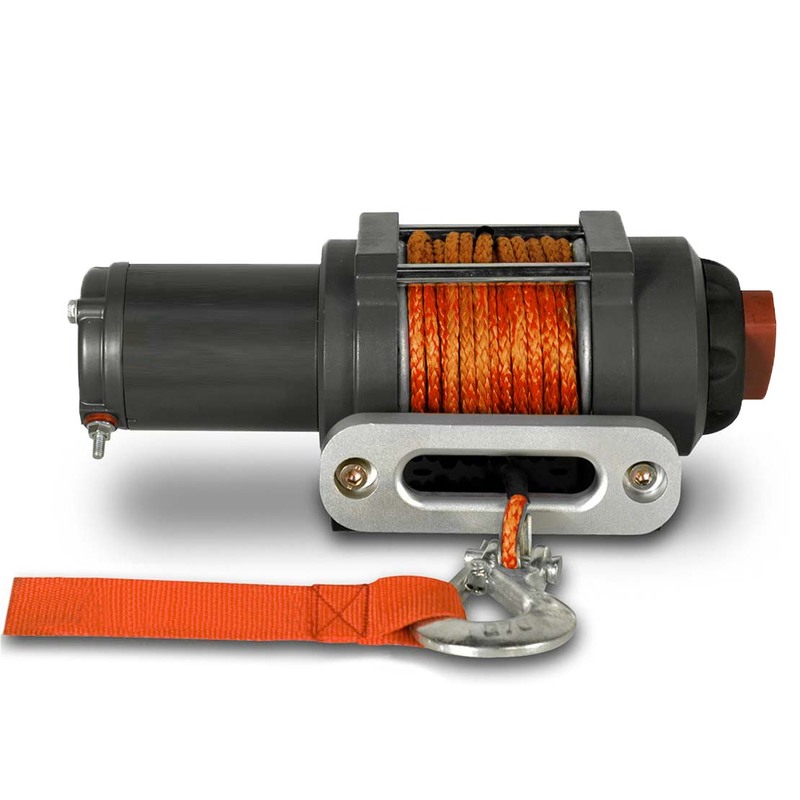 Who can benefit from the use of this unique winch? Iron workers, sheeters, insulators, industrial mechanical contractors, plant maintenance workers and anyone that has a need for temporary hoisting solutions in a somewhat confined space. Capacity from 300lbs to 2000lbs depending on the weighted base. Counter weighted system, no need to fasten unit to structure. No need for a compressor. Long pendant control keeps operator away from the suspended load. 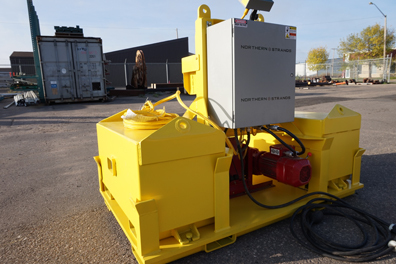 Our Portable Electric Winches are available to rent today! Contact our Suspended Access Division for all your material handling, work platform, tugger, winch and swing stage needs. Our products are available to rent throughout Canada.